You never know what will walk through the door here at Geeks to the Rescue. On a normal day, we’ll get plenty of malware, RAM upgrades, and dead batteries, but once in a blue moon, we get something special. 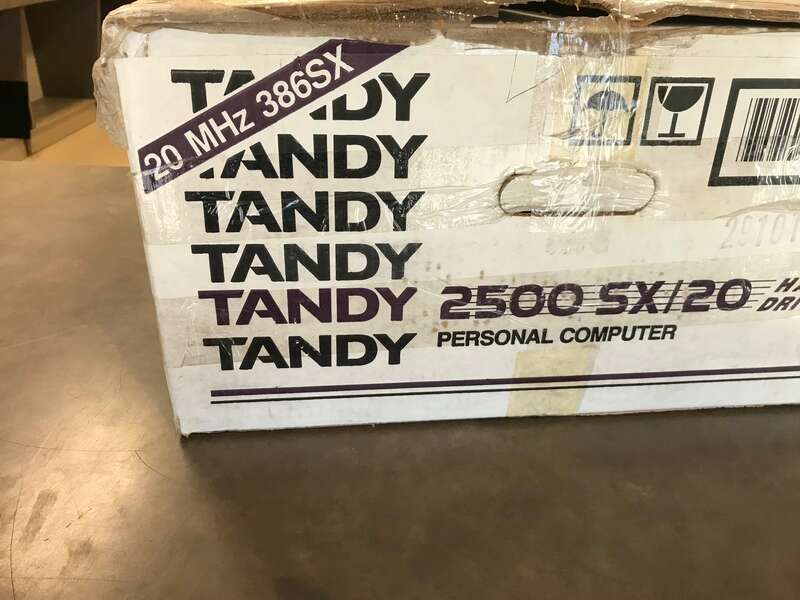 The other day a kind customer came in to take advantage of our computer recycling program and dropped off a Tandy 2500. 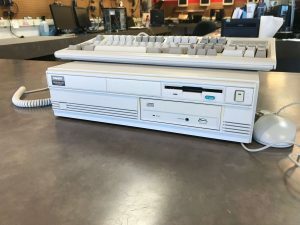 This baby was one of the finest computers Radio Shack sold between 1991 and 1994. It has an 85-megabyte hard drive with a whole 20 megahertz of processing power. Compare that to a standard computer today with an 1 Terabyte hard drive and 3.40GHz of power, and you can see how far we’ve come since 1994. 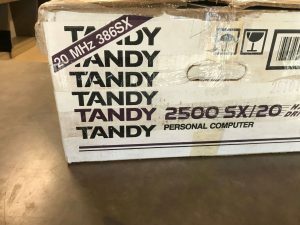 Being the geeks that we are, we definitely got a kick out of seeing one of these beauties again and enjoyed taking a trip down memory lane reminiscing about Tandy’s hay day. 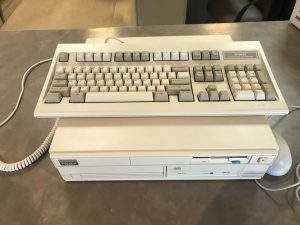 If you have an old computer collecting dust in your attic or garage, come by and drop it off free of charge. We’ll make sure it gets recycled responsibly instead of taking up space in your house.